For exacting mountain settings where balance is key to success. The Light Obsession Hoodie is a highly breathable layer you won't need to strip off as your intensity level rises. Wear it as a jacket, layered under a protective shell, or carry it as a reserve layer when conditions are mild. Thermolite Micro insulation quilted to 20-denier lining provides all-over warmth and efficient moisture transfer, plus it's compressible enough to fit inside the chest pocket. 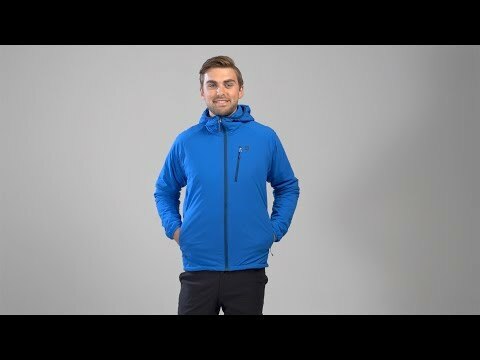 Developed as an ultralight option for alpinists, hikers and skiers, it became a noted favourite of MEC’s gear testers who prized its all-day utility and its pared-back minimalist style. Face fabric is lightweight Pertex Quantum Air 20-denier ripstop nylon that's very breathable but still wind resistant. DWR finish sheds light precipitation. Fully insulated with 60g of synthetic insulation. Adjustable hood is compatible with climbing helmets. Full length front zipper has an interior storm flap with a stiffener to prevent snags. Raglan sleeves are comfortable under pack straps. Zippered chest pocket doubles as a stuff sack. Hand pockets store small essentials or warm frigid digits. Elastic edge binding on cuffs and shock cord adjustable hem seal in heat.